May 30, 1922: 'Smiling' Ed McConnell started his debut on radio with smiled and played his banjo. In the future he becomes a legend on the medium. Ed McConnell was heard for the first time over WJZ, At one time, he was heard on 15 minute program that sponsored by the Air Conditioning Training Corporation of Youngstown, Ohio at 10:30am. McConnell attracted youngsters when he created the Froggy the Gremlin character accompanied by Irma Allen's play on the organ or Del Owen on the piano. Although kids known McConnell as "Smilin' Ed," he kept continue his religious program for adults. While the Buster Brown Show was running, Ed presented a five-minute show sponsored by the American Poultry Journal. The show was broadcast by over 50 stations. Another Smilin' Ed show that turned up for a while was a 15-minute program sponsored by the Purity Baking Company. For his work in radio, he got a star in the Hollywood Walk of Fame. 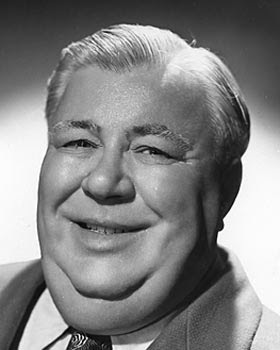 And he continued on television from 1950 until his death of a heart attack in 1954. Andy Devine then took over the show for another couple of years, and "Smilin' Ed's Gang" became "Andy's Gang."